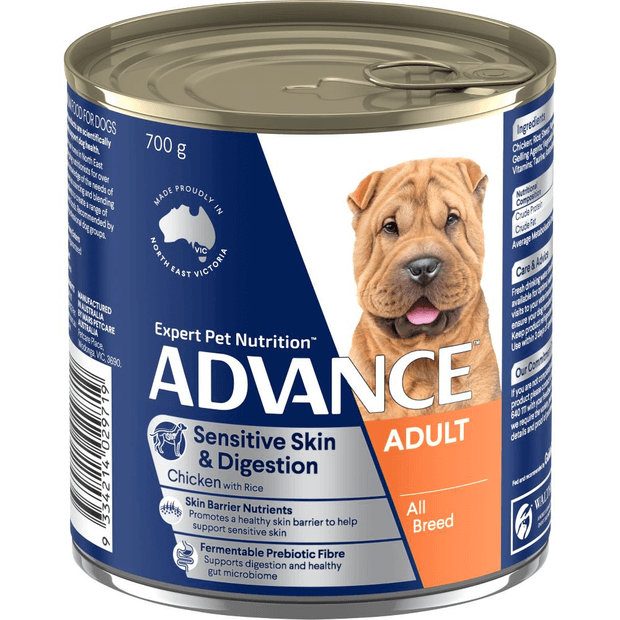 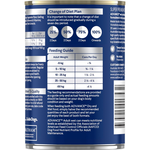 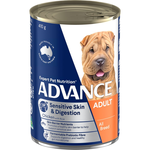 This super premium, Australian made, canned dog food is complete and balanced to support the health and wellbeing of your adult dog with sensitive skin or digestion. 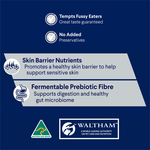 It is fortified with beneficial nutrients including antioxidants to help strengthen the immune system, high levels of omega 3 fatty acids, zinc and linoleic acid to improve skin and coat condition, and prebiotic fibres to promote healthy bacteria in the gut for better digestive health and smaller, firmer stools. 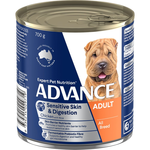 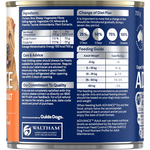 Advance Adult Sensitive All Breed Chicken & Rice contains controlled levels of minerals and is highly digestible to help reduce the risk of lower urinary tract disease.